Unsure How Much it Will Cost to Install Bamboo Flooring? 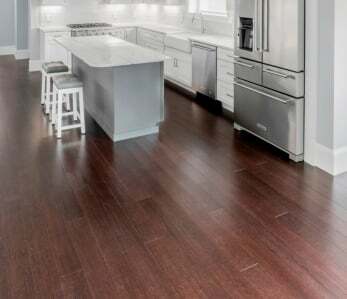 Home › Flooring › What’s It Cost To Install Bamboo Floors? Similar To Hardwoods? 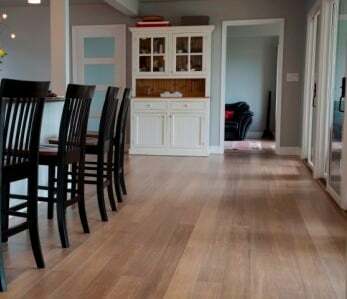 What’s It Cost To Install Bamboo Floors? Similar To Hardwoods? 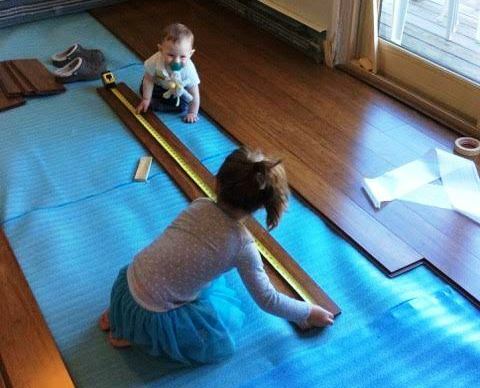 Don’t make the assumption the cost of installing bamboo flooring is outside your home renovation budget. It’s actually right in line with hardwood floor installation costs. Did you know this natural and eco-friendly flooring is more than twice as hard as most hardwoods? Did you know that it costs about half as much per square foot? 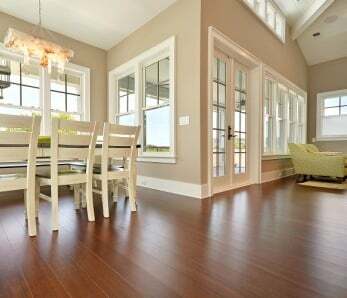 Bamboo flooring is certainly a savvy investment – you can get premium lengths and widths (6 foot wide planks) for . 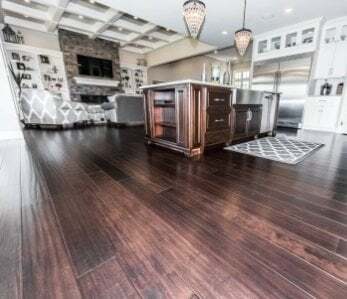 Add to that its incredible durability and hardness, and that it’s gorgeous with a capital “G”, and it seems that the case is easily made for bamboo as the most practical choice of flooring. 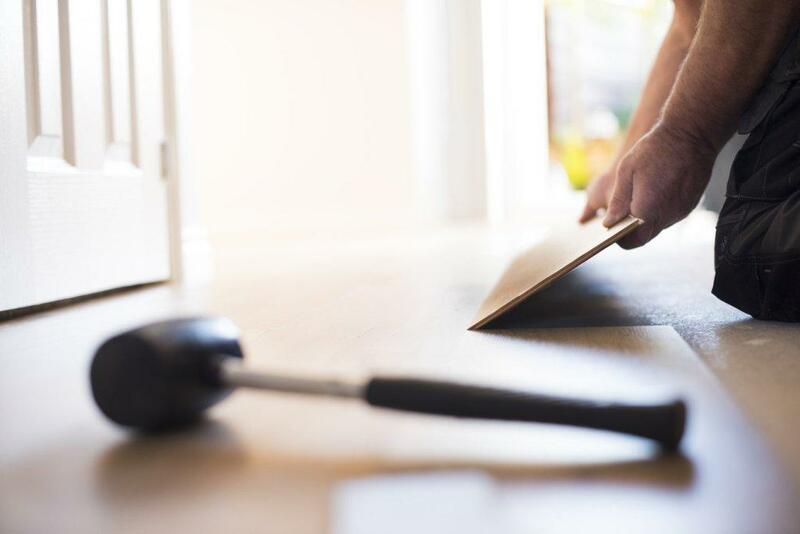 Those benefits aside, if you’re working with a budget like most homeowners you also need to consider the cost of installation – in this post we explore how bamboo flooring installation costs fare when compared against traditional hardwoods. The average flooring installation is around 800 square feet. If you have less than this, installers will typically raise their installation cost per square foot in order to cover their costs (and earn a living!). If you exceed 2,000 square feet installers may drop their price to give you a discount. Will the installer need to rip up existing tile or hardwood flooring? Will they need to level the sub-floor? Will they need to move furniture? Will they install perimeter moldings such as baseboard or shoe molding? Do you want the installer to bring the flooring into the house for acclimation? These are just a few of the items that can increase your installation cost, as they can be time consuming and labor-intensive. Needless to say, installation costs in a densely packed or difficult to access area like New York, or Santa Catalina island, or rural areas, means more transportation overhead for the installer, which means higher installation prices. Lost? Check out between the 3 installation methods. The nail-down method is affordable and fast, however over time due to seasonal expansion and contraction the nails can come loose and cause squeaking in the floor. Not to be confused with loose nails in the sub-floor, which is the main culprit when it comes to wood floor squeaking. Some installers will provide a discount to install via the click lock floating method, because they go much faster than glue-down or nail-down jobs. The limitation here is that, depending on your home’s indoor humidity settings, you may have limitations to the lengths of your runs. Careful selection of the optimal method (choosing between glue down, nail down or floating). NOTE: It’s a job that anyone can do, but much easier for practiced DIY’ers and even then, it’s necessary to arm yourself with plenty of knowledge before you start. Should you choose to use a professional team, we’ve put together , to ensure that you select the right company, with plenty of experience. 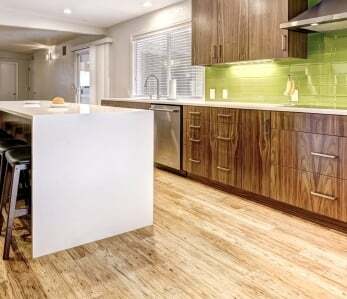 ‹ Can I install bamboo flooring in a bathroom?